I was recently reading Hebrews chapter 2 and I was struck once again by all that Christ has done, and continues to do, for us as human beings. Christ is God the Son- that is the role He chooses to play. But another role that He played was the sacrificial lamb. A 100% human and 100% God hybrid that was tempted like us, but understood completely who and what God the Father is and was, and therefore acted accordingly. Here’s the truth that I realized: If what you are doing by most is considered hatred, in bad taste, or lacking love then you’re not perpetuating the message of God. 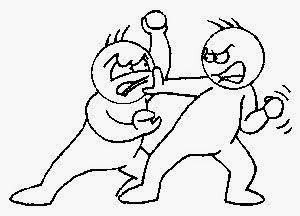 Christ got into many arguments with teachers of the law, and even got angry with situations or people that negatively demonstrated what God would want, but no one would ever argue, even in other religions that Christ was not a “good” man. Remember everything you do is not dependent upon your own strength and power when you have Christ in your life. It is His strength and power that will propel you through each day. You just have to surrender you cares, worry, and path into his hands. What does that look like? Well, first and foremost we all have to make time in the morning to commune with God. This is the fuel that will get you through the day. Next, if you find yourself worrying or even in a high stress situation throughout the day, taking the time to send a quick prayer up to God helps to give you peace and direction. So remember, in order to utilize God's strength and power you have to be able to tap into it through prayer. It is given freely by request! Make sure to hit the follow button! Today is the day!!! Today is the day that you simply praise God for being awesome, faithful, and forgiving. Today is the day that you acknowledge Him for his place in your life, and all that He has done. Today my friends, is the day, that you show your utmost appreciation for God, for being the I Am. There's a whole lotta criticism when it comes to Christianity these days, but the truth of the matter is not everyone who says they're a Christian truly are. We have to start evaluating critically who we choose to follow or link ourselves with on the basis of our Christian beliefs. Although your mouth must profess that Jesus is Lord/Christ/Messiah your (and other people's) actions must also reflect Jesus' ideologies. Be cognizant of yourself and others when it comes to upholding your Christian ideals, because although Jesus operated (and still does) in love, He still told it, like it is, when it comes to our salvation. Learning about God is not as simple as just reading your Bible. You should read you Bible to acquire the knowledge of God's word, but in order to grasp the true meaning of the scriptures we have to ask God to reveal it to us.Knowing and understanding "the spirit" behind a scripture, as in what God really means, takes the revelation of the Holy Spirit. Asking God to give you understanding of how a particular scripture is important, and impacts you, is the step past simply reading, to living the scripture. When a person lives the scripture their path is made plain, and when you walk upon the right path God will help you avoid obstacles that enemies (people with bad spirits and intentions) will want to put in your path. So make sure to ask God to teach you His way, as I do the same! Even though I know that God will always be there for me. There are still times in my life that I allow my fears to take root. I fear not doing well in some particular task, not being successful, not being a good wife, not being a good daughter/sibling, not being a good mother someday, not being a good teacher, not fulfilling my purpose, I could go on and on, but you get the point. I know I shouldn't allow these fears to inhabit me, but sometimes I spend more time worrying about something than I do actually living, and doing what I can in the present. Lola's Prayer CocktailLola's Prayer Cocktailis a fun 10 recipe prayer book that addresses how life's challenges coincide with our prayers. The cocktail contains Bible stories about our favorite Biblical women, told in an evocative and relatable way. The recipe also contains famous quotes, and fun anecdotes. The topical devotions, reinforce the similarities every sister faces, in her Christian walk, and highlights the power of God "to see you through". 50% of book purchase proceeds goes towards various non-profit organizations, in an effort to support youth, veterans, young women empowerment, and water distribution. Click here for details! Today's Verse 3: "And I say unto you, Ask, and it shall be given you; seek, and ye shall find; knock, and it shall be opened unto you. "Luke 11:9 If there's one thing most of us know how to do is request something from God. At least we think we do. For some of us our asking gets different results, and many times if the result isn't what we want we feel let down, or disappointed by God. What if I told you that God would like to give you everything you ask for, but that sometimes as Christians we're simply not asking for the right things. God is our parent, our Father, so He only wants what's in our best interest. If God says no to something, His reasoning is always based on our well-being. Because He knows our ultimate future and our purpose, He is able to gauge what will harm us or what will bring us joy. Sometimes He gives us things that don't bring us joy, that we've asked for, just so that we can learn from our mistakes. Inspirational Devotion Anytime you're in the service industry you're often unappreciated, as an educator I know the feeling first hand. It's no different for Christians who are out there everyday trying to do God's will, by helping others and showing God's presence in their lives, through their charitable works.The concept of helping others and giving back though, has not been synonymous with the term "Christian" these days. Instead it seems there's an overwhelming thought that calling yourself a Christian and having Christian viewpoints makes you a hypocrite. Newest Giveaway! 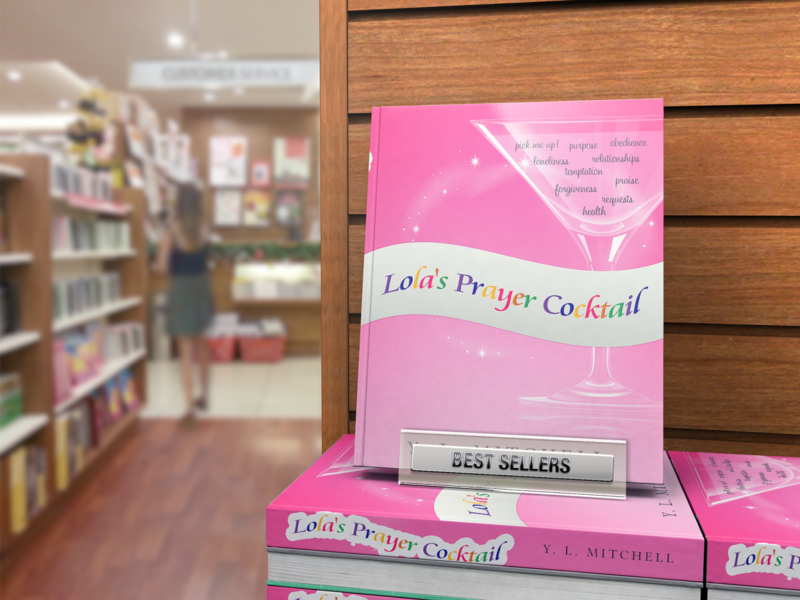 ~Closed~Lola's Prayer Cocktailis a fun 10 recipe prayer book that addresses how life's challenges coincide with our prayers. The cocktail contains Bible stories about our favorite Biblical women, told in an evocative and relatable way. The recipe also contains famous quotes, and fun anecdotes. The topical devotions, reinforce the similarities every sister faces, in her Christian walk, and highlights the power of God "to see you through". It's finally here! Lola's Prayer Cocktail- Donations only for a limited time LPC is available as a gift in return for a $5, $10, or $20 donation to the Purposeful Changes Foundation. Instead of just asking you to buy the book we wanted to make sure you knew your funds were going to a good cause. The purpose of Y. L. Mitchell's ministry is simply to reach and help people, not for financial success. LPC will eventually be sold on Amazon and in bookstores at its regular price of $7.99, but the importance of building the ministry, in the beginning, takes precedence over getting the book in stores. Having books in stores when you're a small publication (including Amazon), takes a large percentage away from the proceeds, which unfortunately stunts the growth of the ministry. To find out where our donations/funds go click here! Anybody can read Kindle books—even without a Kindle device—with the FREE Kindle app for smartphones and tablets. 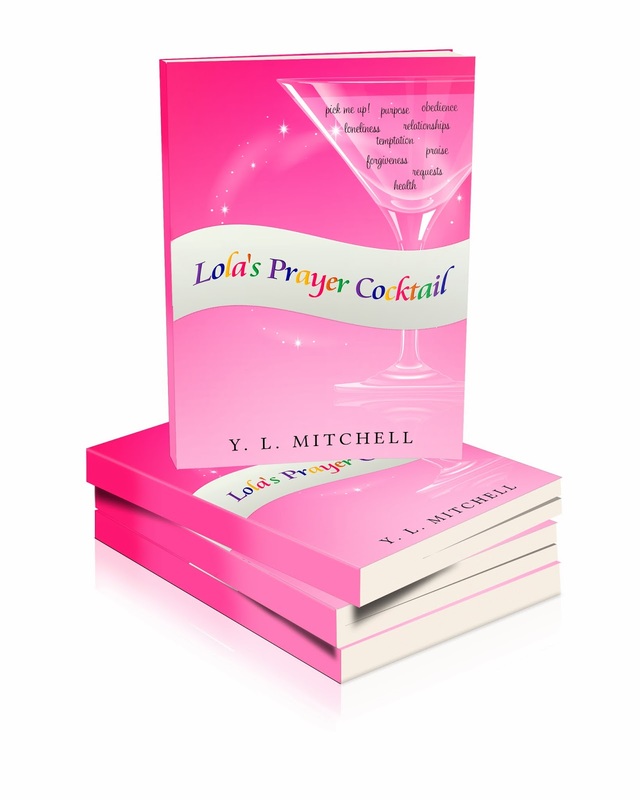 Download Lola's Prayer Cocktail today! Devotional Diva Article Are You A Bored Christian?